Pisang Peak most often picked for climbing lies in Annapurna region of Nepal in the recent years. It is actually positioned on the way to the uppermost pass of the earth. Pisang Peak lies higher than Pisang village and yak grazing lands in a constant tilt of ice to the ending summit. Pisang Peak ascend will begin from Besisahar, the Marsyangdi River Valley. The trail takes you from side to side with extraordinarily divergent wild lives and plant life and then takes us to see the superb peak Lamjung Himal, Mt. Manaslu and more. The main point of the path joins at Dharapani while passing by Larkya La. At that moment the track demands hike to the Pisang Peak, to a set where we will be greeted by vistas of the Annapurna Himalayan. To get to the base camp leaving the Pisang village, the trail moves up all the way through thin wood as well as grazing land to Kharka lying at 4,380m which is the most excellent place for fixing the base camp at an altitude of 4200m. It is a flat alpine part along the shabby trail. You must have a good walk tendency together with guts. The mountain has a hanging glacier to the western part which is very much challenging. 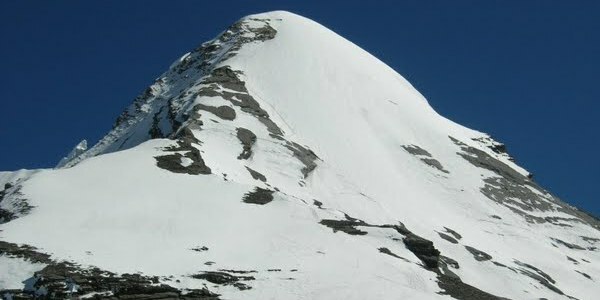 The final apex of the Pisang peak is roofed by snow all over the year. Boundless Himalaya Trekking and Expeditions puts forward Pisang peak climbing intended to everyone from proficient climber to an inexpert but adventure enthusiast as anyone will be guided by an expert mountain guide. Spring and autumn are great seasons to go for mountaineering Pisang Peak. Passing through the Marsyangdi valley with the views of Manaslu, Annapurna II, III, Gangapurna, exploring Pisang and Gyaru village and primitive monastery. Arrival in Kathmandu. Welcome and pick up from airport and transfer to hotel. Introductory program and briefing about the trip, overnight at hotel. Over night stay at lodge. Over night stay at tented camp. Climb up for 4 -5 hours and set up our high camp at the height of 5400m after climbing to a shoulder on the south west ridge. Over night at tented camp. From the High Camp,the well defined ridge leads to the final snow slop which is quite steep and more technical to reach the summit. The guide will fix the rope and lead you to the successful summit of the Pisang peak. After a Successful summit, walk down to Base Camp and overnight stay at tented camp. Day 20: Drive back to Kathmandu by tourist bus. Transfer to hotel. Overnight at hotel.